If you're looking for something fun to do for you or your child's birthday we regularly hold Birthday Parties here at the Bit! We can also do lead outs on the common for either ½ hour (£20 per child) or ¾ hour (£25 per child), perfect for small groups (max. 10). Another popular variation that we offer is a half-and-half grooming+ride package, so the children get the experience of a lead out on the common as well as grooming and learning about the ponies. These activities are divided equally for a total time of either 1 hour (£26 per child) or 1½ hours (£31 per child). 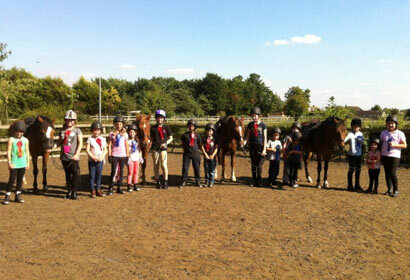 For children that can ride, we can do hacks at £25 per child. This is usually for riders who want to hack out with a group of their friends, however we can also do this for just a pair of friends. Please note again however that everyone must already be able to ride for this option. 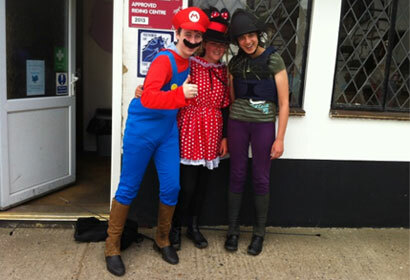 On all of the above we supply hats and boots, riders should just wear comfortable clothing e.g. jogger bottoms or leggings and a waterproof jacket.